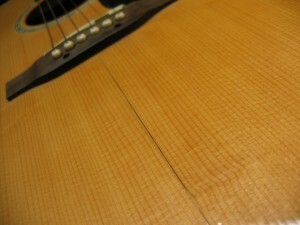 In 2011, Bob Bean’s prized $4,000 Taylor guitar was ruined due to the extremely dry conditions of an especially brutal New England Winter. Heartbroken at the loss of his guitar, he identified a need for a connected sensor and smart phone app that would have warned him before the damage was done. Bob assembled an expert team of engineers, software developers, and expert advisors to help him develop a solution and bring it to market. The team spent three years developing, refining, and bringing to market our revolutionary low energy Bluetooth® sensor. With two working prototypes the team successfully created a crowd-funding campaign through Kickstarter that received orders from over 400 consumers. Our efforts caught the attention of two industry giants – Taylor Guitars and D’Addario who both understood the need for more advanced protection of fine musical instruments. Working closely with D’Addario and Taylor, Blustream spent 2015 refining our sensor technology and creating a robust app development framework to support both companies in the integration of Blustream technology into their software and products. The Blustream team has now grown to include a team of seven rabid musicians who own an incredible 67 guitars between them! With our new CEO, start-up veteran Ken Rapp at the helm, the Blustream team is ready to partner for growth in 2016! Don't Be Shy, Work With Us!